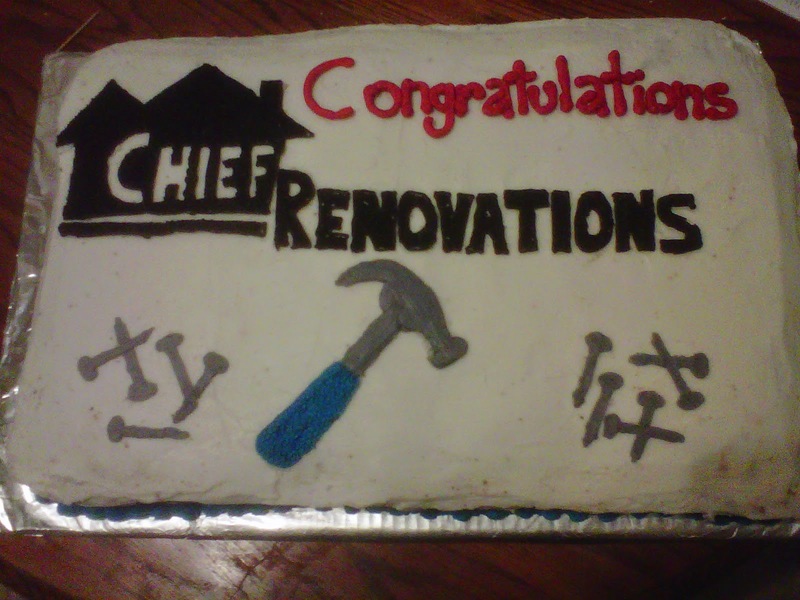 This cake was made to celebrate the ending of house renovations. Size: It is a larger cake, two 9 x 13 sized cakes placed side by side. Taste: The flavour is half vanilla cake and half chocolate. Filling: This cake was filled with store bought, rainbow chip icing.